Franklin Hospital District is committed to being transparent about our charges to our patients and community. The information provided in the link below contains a comprehensive listing of our charges (charge master) for inpatient and outpatient services provided by the Hospital and clinics. The charge master may not be a helpful tool for patients to comparison shop between hospitals or to estimate what health care services are going to cost them out of their own pocket. Your own charges and out-of-pocket expenses will depend on the actual patient care services you receive, the terms of your insurance coverage, and/or your eligibility for Community Care assistance. In the event that this charge master is not helpful to you in determining your individual expenses for upcoming services, feel free to contact the Patient Financial Services department at 618.439.3161, ext 9410 to request an individualized estimate. Please understand that the information provided will be an estimate based on the information available before services are rendered, and is not a guarantee. In some cases, additional services may be required. This attached standard charge list for Franklin Hospital District is provided in accordance with updated guidelines published by the Centers of Medicare and Medicaid in the Federal Register 83 FR 41868 on August 17, 2018. For questions regarding payment arrangements or financial assistance, please contact our Patient Financial Services department at 618.439.3161, x.9410. 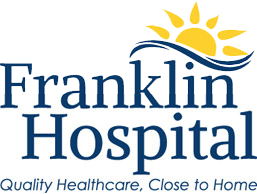 Thank you for choosing Franklin Hospital District for all your healthcare needs.